'I can command storms, summon fire and unmake stone. Animals have nothing interesting to say and no one can see the future, because it has not been written,' growled Balfruss. 'It's dangerous to meddle with things you don't understand.' WHEN YOU FIGHT MAGIC WITH MAGIC, NOTHING IS CERTAIN. Balfruss is a battlemage, one of a vanishing breed, sworn to fight and die for a country that fears and despises him. Vargus is a soldier, and while mages shoot lightning from the walls of his city, he's down in the frontlines getting blood on his blade. Talandra is a princess and her father's spymaster, but the war may force her to take up a greater responsibility, and make the greatest sacrifice of all. 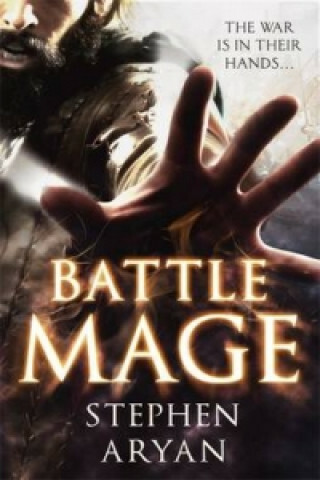 Known for their unpredictable, dangerous power, society has left battlemages untrained and shunned. But when a force unlike anything ever imagined attacks their home, the few remaining magic users must go to war - to save those who fear them most, and herald in a new age of peace, built upon the corpses of their enemies.